We have compiled a list of After Party Venues to consider when planning the end of the wedding night for your guests! 5Church’s cutting edge interior design & sophisticated ambiance is the perfect setting for your next corporate, social, or charitable event. Whether an intimate dinner party or an extravagant gala for 250 or more, its truly memorable experience for you and your guests. Gather on the rooftop of the Grand Bohemian Hotel Charleston at the terrace bar to indulge in hand crafted cocktails, exquisite wines, and signature dishes. Memorable views from the rooftop show the many churches along Charleston’s historic skyline. With its sweeping views, Stars Restaurant is the best rooftop bar in Charleston. Stars Rooftop Bar is a haven away from the hustle and bustle of the street below. The Rooftop Bar offers an unusually wide selection of international tap wines, specialty cocktails, and craft beers. The Blind Tiger Pub has always remained a fixture of Charleston society. In 2016, after painstaking restoration, the “Blind Tiger Pub” was reborn. Hand-crafted cocktails, chef-inspired menus and historic southern charm will create an event experience like no other. Wedding gatherings, private viewings for major sporting events—life is filled with occasions to celebrate and we invite you to join us for all of them. With over 2500 square feet of event space, Uptown Social is the perfect destination for a one-of-a-kind get-together. Mash is a cozy American Whiskey and Beer Bar offering a thoughtfully crafted selection of domestic whiskeys, beer, wine and craft cocktails and an elevated menu of bar food. Mash also housed entertainment options including an old-fashioned jukebox. At Prohibition Charleston, you can expect the culinary delights of Executive Chef Greg Garrison and award-winning cocktail wizardry with extensive liquor, wine and beer offerings await you at the bar and with dancing, live music and weekly events. Bright, cheery hangout featuring eight bowling lanes, three bars featuring craft beer and great bartenders, a full kitchen with unique American classics, retro arcade games, two 160" projection screens and multiple TVs for all the top games. Located above the bustling Upper King Street entertainment district, Pour Rooftop Taproom provides a special place for private events. Rising nine stories above the city, Pour offers incredible views of The Holy City and offers a suite of varieties and styles of beers. 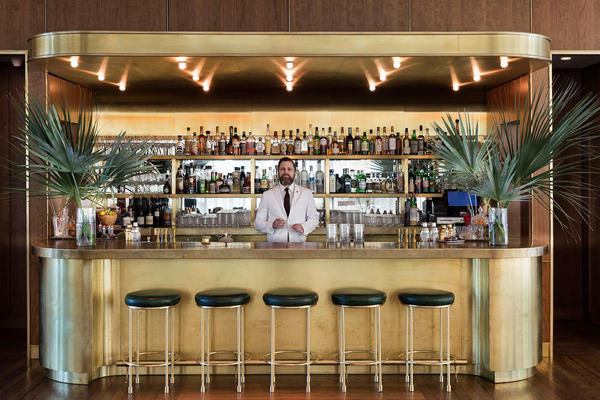 The Cocktail Club is an upscale lounge dedicated to the art of the craft cocktail. An extensive selection of house-made infusions, rare liquors, and farm-to-shaker beverages features fresh-squeezed juices and modern ingredients alongside a menu of light fare. In the heart of Charleston’s Historic District, the hotel is just across the street from the city’s most vibrant events and a short walk from the finest shopping, dining and attractions. The Dewberry has unique and signature spaces for all conference, wedding and social affairs. Welcome to the Southeast’s most refined new private dance club. Impressive renovations, expansive dance floors, private VIP tables, large outdoor patio and more. Premier bands from across the country take the stage nightly downstairs, while master DJs spin upstairs.